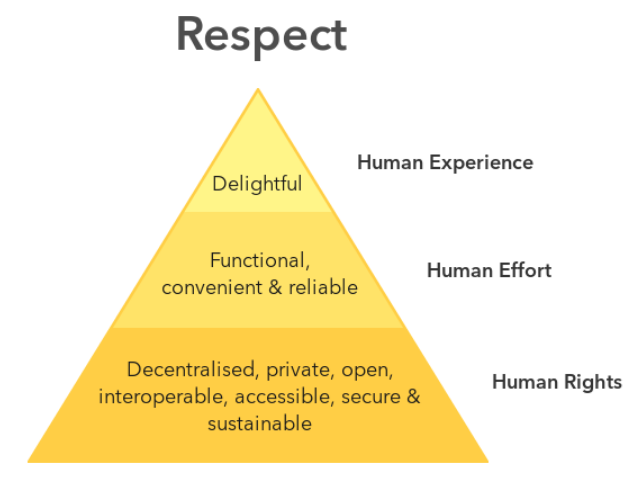 In our wish to bring our contribution to the betterment of society, wherever we plan to work on refining our products or existing software, we will conform to the Ethical Design Manifesto. Our philosophy and social purpose have always been in perfect unison with the principles stated in the Ethical Design Manifesto, and having it as part of our internal design team’s policy is a good way to make sure that we always keep it in mind. We Practice Ethical Design. The goal of “ethical” design is to develop technology that is respectful of human beings whoever they are. It encourages the adoption of ethical business models and, all together, it is favoring a more ethical society. For more information see `ind.ie/ethical-design <ind.ie/ethical-design>`_.